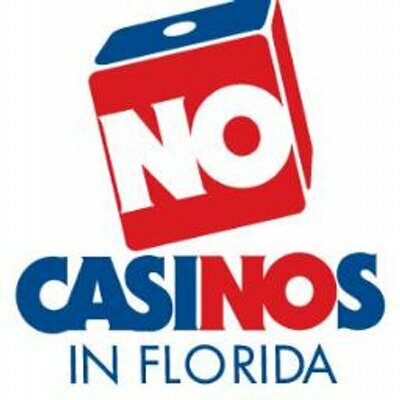 I support the referendum that would amend Florida's Constitution to require a 60% vote to expand gambling. I agreed with our St. Johns County Commissioners refusing and rejecting gambling industry demands to put an illegal vote on the 2016 ballot, rejecting mendacious machinations by louche lobbyist SUSAN SUMMERALL WILES, ROGERS TOWERS and its then-partner ELLEN AVERY-SMITH (now on her own). Just a month after bringing down the curtain on their annual session in Tallahassee, leaders in the Florida Legislature are threatening an encore. But the special session they’re eyeing on gambling would be an unnecessary, uncertain and even unsavory exercise. During this year’s regular session, legislators tried and failed to pass a bill that would resolve legal disputes in the state’s gambling compact with the Seminole Tribe of Florida. Under the 2010 compact, the Tribe is bound to make monthly payments to the state in return for the exclusive right to offer certain games, including blackjack, at its Florida casinos. The Seminoles contend gambling at other, non-tribal venues in the state is violating the compact, and were threatening to halt their payments starting this month unless the state did more to enforce exclusivity for the Tribe. House Speaker Richard Corcoran warned that legislators could be forced to cut up to $441 million out of the next state budget if the payments lapse, or dig into budget reserves and jeopardize the state’s bond rating. But this week the Tribe’s lawyer, Barry Richard, said that the Seminoles would continue to make the payments for now, deal or no deal. “They don’t want to take advantage of the state economically any more than they want the state to take advantage of them,” Richard said. That means there’s no pressing need for a special session to avoid the scenario the speaker warned about. Legislators doubtless feel some urgency to take another crack at gambling policy while they still can. Looming on the November ballot is a proposed constitutional amendment, backed by the Seminoles as well as Disney, that would require a statewide vote for any expansion of gambling. If it receives enough support from voters to pass — at least 60 percent — it will put voters, not legislators, in control of gambling decisions. But it’s not certain any changes legislators would make in a special session would hold up if the amendment wins voter approval. The head of the anti-casino gambling organization spearheading the campaign for the amendment, John Sowinski, raised these doubts in a letter he sent this week to the lead negotiators on gambling in the Senate and the House. Sowinski cited support for his legal interpretation from the Florida Supreme Court, state economists and even a lawyer for the gambling industry. Unless his interpretation can be conclusively refuted by another, reputable legal authority, it’s another strike against a special session. The main reason legislators have struggled to pass legislation on gambling is that multiple players with competing interests always seem to get involved. That group includes not only the Seminoles, but also the parimutuel operators of the state’s horse and dog tracks and jai-alai frontons. While the Seminoles want to maintain or expand their exclusive right to offer games at their casinos, the parimutuels’ wish list includes adding slot machines in counties where voters have approved them and reducing the taxes they owe they state. Legislators tend to dig in on competing sides and run out of time to settle their differences. Here’s where the unsavory part comes in: The players in the gambling debate — the rivals in the industry, and the opponents of any expanded wagering in the state — have deep pockets, and don’t hesitate to seek influence with legislators through hefty campaign contributions. Legislators can’t collect those contributions when they’re in session, but the prospect of a special session on gambling could generate a flood of cash for them in weeks leading up to it. That’s a boon in an election year — especially for legislators who are ramping up statewide campaigns. But it’s an utterly self-serving and irresponsible way to make public policy.